Wooded property of 2 hectares. We welcome you in two stone houses consisting of 3 bedrooms, 2 bathrooms and different rooms, all in a warm and comfortable. 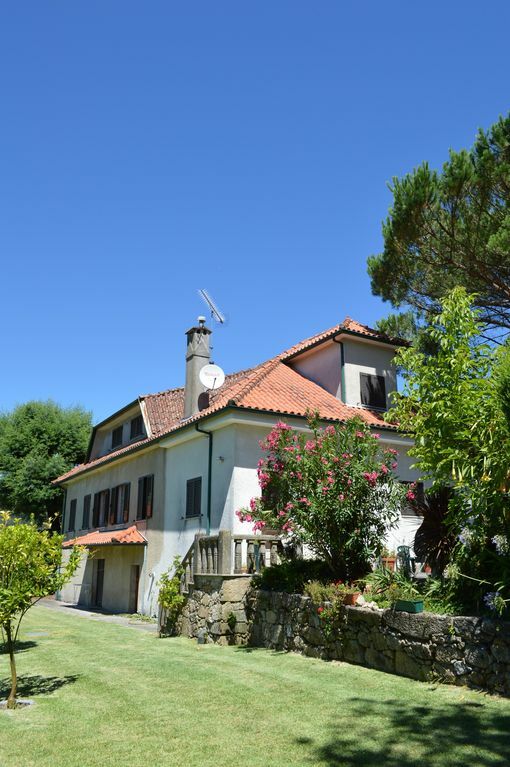 You will take advantage of the ground with its room of barbecue for your meals outside before going to take a good bath in the swimming pool of 11x5 m.
The property is located in the region of Minho, known for its very green landscape and the welcome of the population.